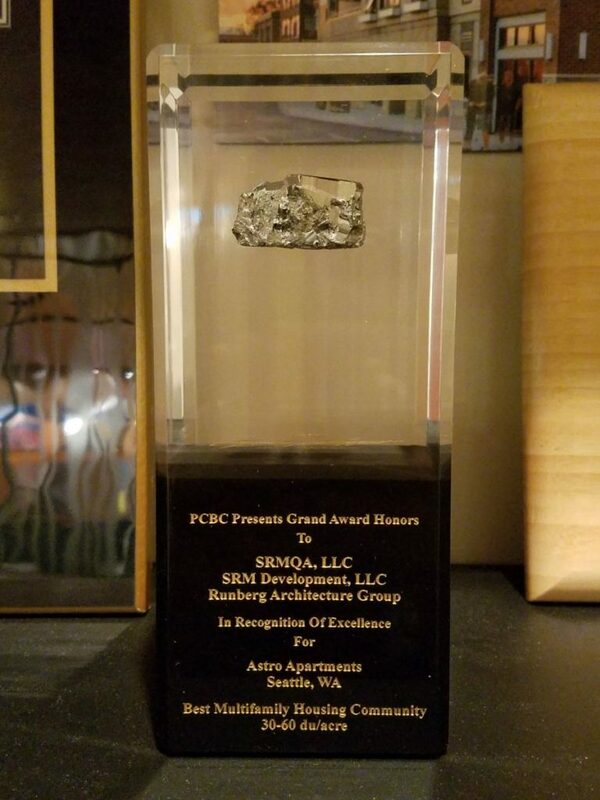 SRM Development, SRMQA, LLC and Runberg Architecture Group recently received the “Grand Award Honors In Recognition Of Excellence” (Best Multifamily Housing Community, 30-60 du/acre) for the Astro Apartments in Seattle, WA! The Gold Nugget Awards are the oldest and most esteemed design awards in the nation and acknowledge those who enhance their communities through noteworthy concepts in design, planning and development. We are very proud of the Astro Apartments!